FORMER President Robert Mugabe reportedly flew to Singapore for medical check-ups two weeks ago, with sources saying the 94-year-old ex-leader was rushed out after his health suddenly deteriorated. “He slipped out of the country two weeks ago after his blood pressure suddenly rose to dangerous levels. He also had trouble with his eye which previously has been diagnosed with a cataract,” a source close to the former Zanu PF leader claimed. Foreign Affairs permanent secretary Joey Bimha said he was not sure of Mugabe’s whereabouts as he was also out of the country on government business. “I am not sure about that because I am currently in Angola. You might need to check with the office,” Bimha said. President Emmerson Mnangagwa’s spokesperson George Charamba could not be reached for comment while Information ministry’s principal director Regis Chikowore referred questions to his superiors. “I do not have that brief. Ask the bosses,” he said in reference to Charamba and acting Information minister, Simon Khaya, who was also not available for comment. 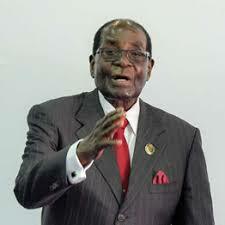 But other sources said Mugabe had just left for routine medical check-up, adding it was nothing serious. “It’s nothing serious. It is the usual, check-ups and this one in particular was scheduled. The former First Lady Grace is also with him,” NewsDay heard.